Transposition of the great arteries (TGA), also called transposition of the great vessels (TGV), NCLEX questions for nursing students. Transposition of the great arteries is a congenital heart defect disorder. Don’t forget to watch the lecture on transposition of the great arteries before taking the quiz. Transposition of the great arteries (TGA) NCLEX review questions for pediatric congenital heart defects. A. "The pulmonary vein and artery are switched, which causes the pulmonary vein to deliver unoxygenated blood to the systemic circulation while the pulmonary artery delivers oxygenated blood back to the lungs." B. "The aorta and pulmonary vein are switched, which causes the aorta to arise from the right ventricle and the pulmonary vein to arise from the left ventricle." C. "The aorta and pulmonary artery are switched, which causes the aorta to arise from the left ventricle and the pulmonary artery to arise from the right ventricle." D. "The aorta and pulmonary artery are switched, which causes the aorta to arise from the right ventricle and the pulmonary artery to arise from the left ventricle." A. Prevent the closure of the foramen ovale. B. Allow a continued connection between the aorta and pulmonary artery via the ductus arteriosus. C. Prevent the closure of the ductus venosus. D. Increase the blood flow to the pulmonary vein, which will increase oxygen levels. A. During this procedure the pulmonary artery and aorta are switched along with their coronary arteries. B. This procedure will enlarge a hole in the ventricular septum and provide permanent treatment for this condition. C. During this procedure a hole in the atrial septum is enlarged, which will be temporary. D. The procedure will switch the pulmonary vein and aorta long with their coronary arteries, which will be permanent. 1. A newborn baby is born with transposition of the great arteries (TGA). You’re explaining the condition to the parents. Which statement by the father demonstrates he understood the education provided about this condition? The answer is D. Transposition of the great arteries (TGA) is a congenital heart defect where the pulmonary artery and aorta are in SWITCHED positions (hence transposed). This will cause the aorta to arise from the right ventricle and the pulmonary artery to arise from the left ventricle. The answers are B, C and F. Some babies may have slight communication between the right and left side of the heart in TGA, if another type of congenital defect is present (which many times this is the case). The other defects present in TGA may actually provide short-term benefits because it will allow unoxygenated blood to mix with oxygenated blood to enter the body. These other defects most commonly include: ventricular septal defect (doesn’t allow much mixing), atrial septal defect, or patent ductus arteriosus (note the PDA is usually kept open on purpose after birth with a medication called prostaglandin E “alprostadil” to allow for more oxygenated blood to enter the body until surgery is performed). The answer is B. Prostaglandin E (alprostadil) is an infusion that can be given to a baby with TGA. This will provide temporary relief from the TGA by keeping the ductus arteriosus open (normally this structure will close after birth). The ductus arteriosus will keep the connection between the aorta and pulmonary artery open, which will allow unoxygenated and oxygenated blood to mix and enter circulation. In TGA, oxygenated blood is not able to enter the systemic circulation, but if this structure is kept open it will allow this to occur. This infusion is only temporary until a balloon atrial septostomy or arterial switch procedure can be performed. 4. You’re educating the parents of a patient with transposition of the great arteries about the treatment options. Which treatment option below provides a permanent solution and is performed within the first few weeks of life? The answer is C. This procedure is an open heart surgery where the pulmonary artery and aorta are switched back to where they should be along with their coronary arteries and is performed within the first few weeks of life. Options A and B are treatment options but are TEMPORARY until an arterial switch procedure can be performed. Option D is a treatment option for TOF (tetralogy of fallot) or ventricular septal defect. 5. 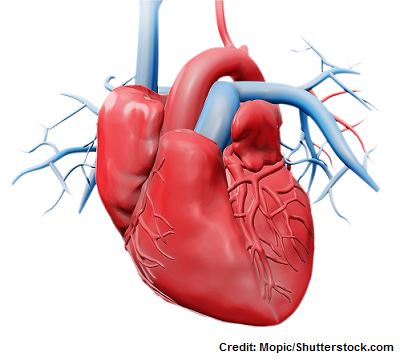 True or False: In a normal heart without any type of congenital heart defect, the pulmonary vein carries oxygenated blood away from the lungs to the left side of the heart. The answer is true. The pulmonary vein carries oxygenated blood away from the lungs to the left side of the heart. Don’t get the pulmonary vein and artery confused. The pulmonary artery carries UNOXYGENATED blood from the RIGHT side of the heart to the LUNGS. Remember in TGA the roles of the aorta and pulmonary artery are switched. In TGA, the aorta will actually carry unoxygenated blood from the right side of the heart to the lungs. It normally should carry oxygenated blood from the left side of the heart (specifically the left ventricle) to the body. The answer is C. A balloon atrial septostomy (this is TEMPORARY UNTIL SURGERY is performed) is a procedure performed during a heart cath and is done to enlarge a hole in the atrial septum. A catheter is inserted into the heart through a vessel to enlarge the foramen ovale or an atrial septal defect already present in the interatrial septum. WHY? This allows unoxygenated and oxygenated blood to mix and enter systemic circulation and will be temporary until surgery can be performed. The answers are: B, C, E, and F. Babies with TGA will experience severe cyanosis after birth that will become worse and not resolve on its own. This is because the pulmonary and systemic circulations are not working together. Hence, the oxygenated blood never reaches the systemic circulation (it just keeps re-circulating on the left side of the heart). Therefore, the baby will have cyanosis (a bluish skin tone) until medical intervention is performed along with low oxygen levels (this is leading to the cyanosis), increased respiratory and heart rate (due to the low oxygen levels…the heart and lungs are trying to compensate by getting more oxygen to the body’s organs/tissues but it is unsuccessful).